The government has issued warnings about rabbit hemorrhagic disease, a calicivirus that causes a fever, convulsions and kills a rabbit within 36 hours. Rabbits were vaccinated en masse Tuesday in hopes of containing a highly contagious disease that's been killing the animals in B.C. The vaccinations, imported from France, were administered to hundreds of animals — most of them trapped at the Richmond Auto Mall and other areas in Richmond, as well as at the Rabbitats Sanctuary in Surrey. "We are shooting up all of our rabbits," said Sorelle Saidman, founder of Rabbitats. Earlier this spring, B.C. issued warnings about rabbit hemorrhagic disease — a calicivirus that causes fever, convulsions and kills a rabbit within 36 hours. The virus has been found in dead rabbits around Delta, Nanaimo and the Comox Valley. Around 50 animal hospitals in B.C. have received their orders of the vaccine since the outbreak began. "We have roughly 400 rabbits under our control at this time. They are all at risk," said Saidman. "It's just going like wildfire through the [rabbit] colonies." Dr. Jane Pritchard, the province's chief veterinary officer, said the impact of the disease is "quite sudden and overwhelming." "The populations that have been affected, people report that basically the rabbits were there and then they're gone ... it's very lethal." It's Canada's third outbreak of the disease in a decade. There are restrictions on importing the vaccine into the country, she said, but Ottawa lifted the conditions in light of the outbreak. 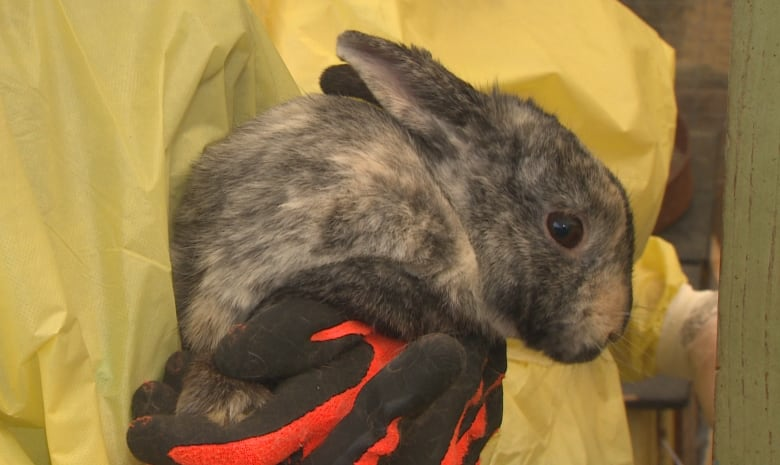 Pritchard says rabbit owners need be extremely careful as the virus can be carried on clothes. She said it's best to keep rabbits inside but, ultimately, the vaccine is the best protection. 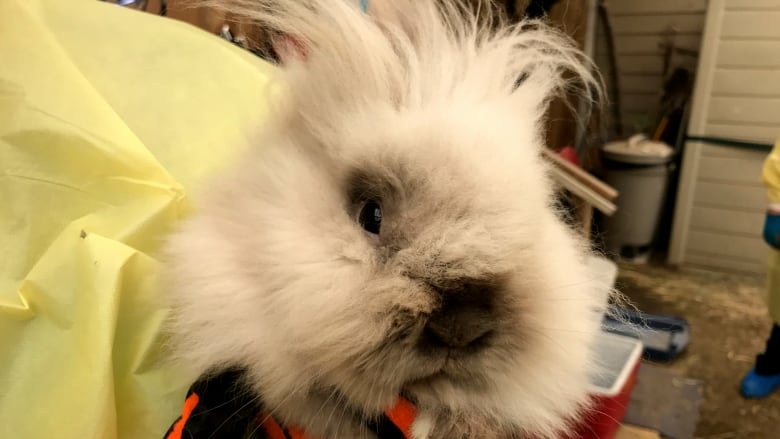 Rabbit owners who want to protect their animals will need to order the vaccine and get a waiver signed by a veterinarian. The imported vaccine will be enough for B.C. 's pet and livestock rabbits, but Pritchard said there's little to be done for wild rabbits. An earlier version of this story misstated where the rabbits were vaccinated. Vaccine against deadly rabbit disease coming to B.C.